It's the sing-along, dance-along, pop-palooza for little people! 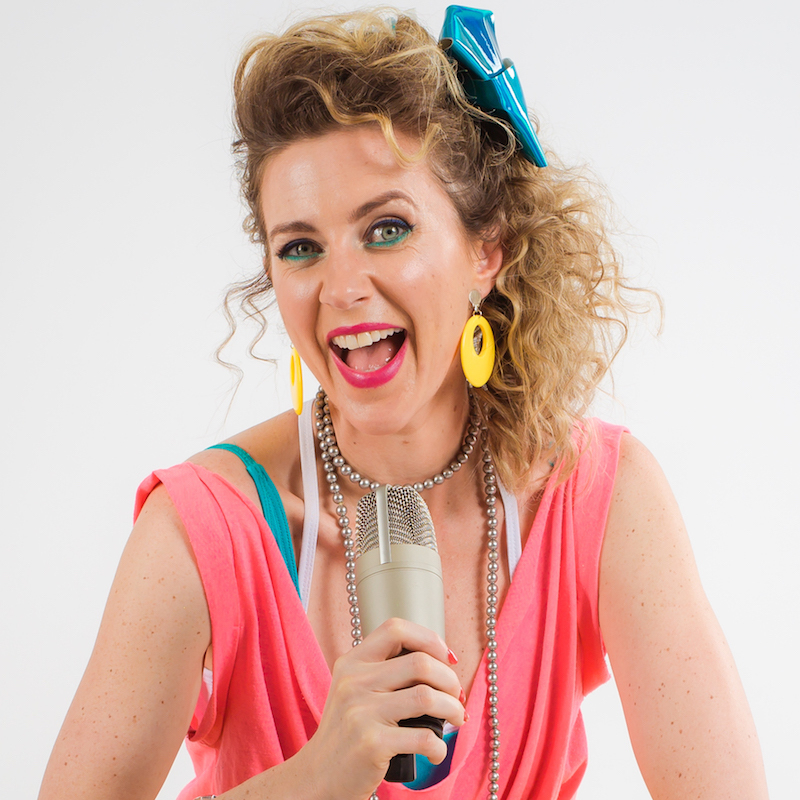 If you're under five and love to jive, join Adelaide's own cabaret darling (and new Mum) Amelia Ryan, as she bops and bounces for babies, tots and tikes. With musical maestro Michael Griffiths on the keys, you'll go to Funkytown, do the Locomotion and even Walk Like An Egyptian at this retro-party where both Girls AND Boys Just Wanna Have Fun! From vintage Play School classics, to the disco favs that will get Mum and Dad's groove on, plus a few current kids hits snuck in for good measure, you'll be on your feet from start to finish at 80s Baby! Amelia Ryan is a multi-award winning Cabaret Artist, Writer, Presenter and Mentor. Since co-winning the 2012 Your Theatrics International Cabaret Contest, her critically acclaimed shows A Storm In A D Cup, Lady Liberty and The Breast Is Yet To Come have traversed the Australian cabaret circuit, as well as New York City, London and the Edinburgh Festival Fringe, playing to 5 star reviews and standing ovations. She's currently touring her latest co-creation: 'Livvy & Pete: The Songs of Olivia Newton-John and Peter Allen' alongside Helpmann award winner Michael Griffiths, and has recently launched her most creative production to date; a baby boy, who arrived in 2017. So now she's very busy creating shows that he can come along to!